Ok, so I've been MIA from here for a minute. 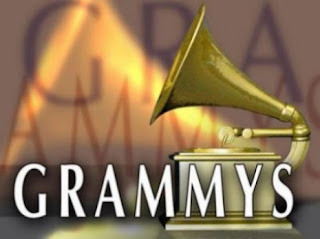 Now I reappear with clips from the 52nd Grammy Awards that were held Sunday night. Ok, now I didn't watch the full show because I was working on a huge school project, but through Twitter and Facebook (gotta love social networking lol), I read about some of the highlights of the night and watched the clips. So I'm gonna post what I thought was hot and what was definitely not. Check the vids after the jump. Ok so this was huge, because B has never publicly mentioned Jay-Z as her husband, least of all in an acceptance speech. I mean, we all know that they're married, but for Beyoncé to publicly thank him is awesome. They are definitely a power couple! MAXWELL PERFORMANCE OF "PRETTY WINGS"
Need I say more. It's Maxwell! He killed it! TAYLOR SWIFT WINS ALBUM OF THE YEAR?!!! WTH?!!!!! 3D performance! People in the audience could watch the corresponding short movie that was going to be shown at his tour in London. It was good to see MJ's kids at the end accepting a Lifetime Achievement award for their father (which I felt came a little too late personally but I digress) I thought they seemed a little out of place there, and definitely nervous, but it was still nice to see them. So there are my favorite moments from a show that I didn't watch in full LOL. But hey, this is all I needed.